I have been reading very slow here lately as it’s my last semester of school before I’m done! Yessss! That being said, I’m finding that I’m reading more than studying so I won’t be posting as often until I’m done. 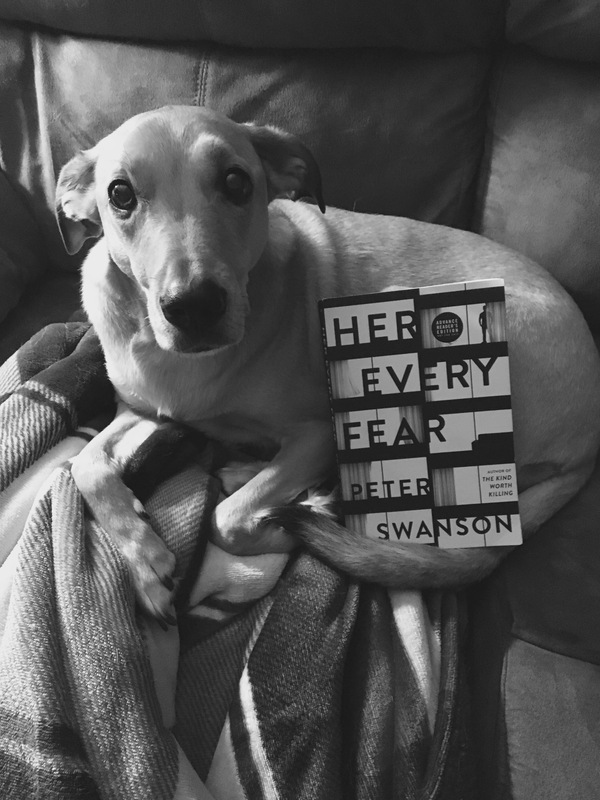 This is my first Peter Swanson novel and I really enjoyed it. I’ll start by saying there are a lot of creepy characters in this boon but Kate Priddy, our main character, is worth it. Kate has a traumatic past. After being nearly killed by her ex-boyfriend, she reluctantly agrees to get out of London and swap apartments with her second cousin in Boston. Because of her traumatic past she suspects the worst out of every situation. When she arrives at her cousin’s apartment and finds that his neighbor has been murdered her first instinct is flight. But she is determined to make this work and to prove to herself that she can do it. Then she finds that her cousin was intimately connected to the girl next door. Did her cousin that she hardly knows kill this girl? What did she get herself into? Her Every Fear is 329 pages of suspense and took me 3 days to read. I give this book a 3 out of 5 for its wonderful character development. Thank you so much to HarperCollins Publishing for sending me this great book!